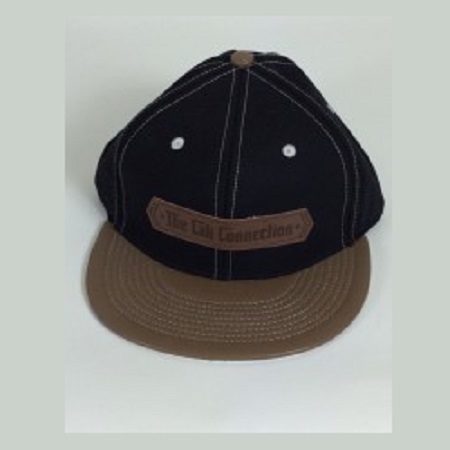 Cali Connection Snapback Cap Brown Peak: Proudly display your allegiance to California's leading cannabis seedbank by rocking this sweet Cali Connection snapback cap. Designed by Grassroots California and made in the USA, this authentic hat features the Cali Connection logo on a brown leather badge on the front. The cap's lining features a beautiful vista of a selection of Cali Connection's marijuana varieties in full bloom. This snapback cap has an adjustable leather strap at the back and the legend 'Award Winning Cannabis' embroidered in white cotton.